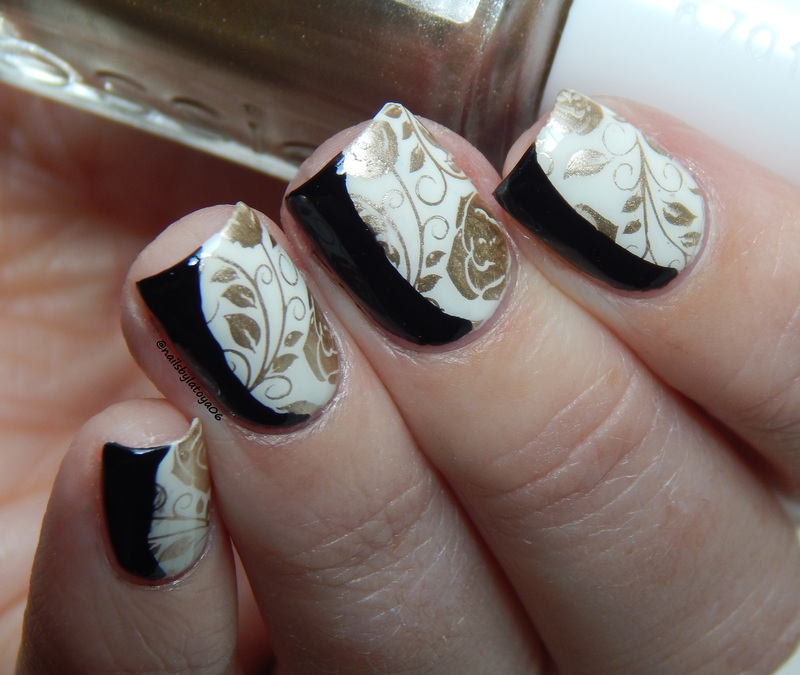 Fancy Rose and Gold stamping featuring Winstonia W402 stamping plate! I’m back again! Wow! That was a long title lol. I’ve been craving some really feminine and fancy nail art and this mani hits the spot! I bought a bunch of Winstonia plates a while back and decided to use one of them. This plate has a lot of floral and rose images and I just couldn’t resist using it. 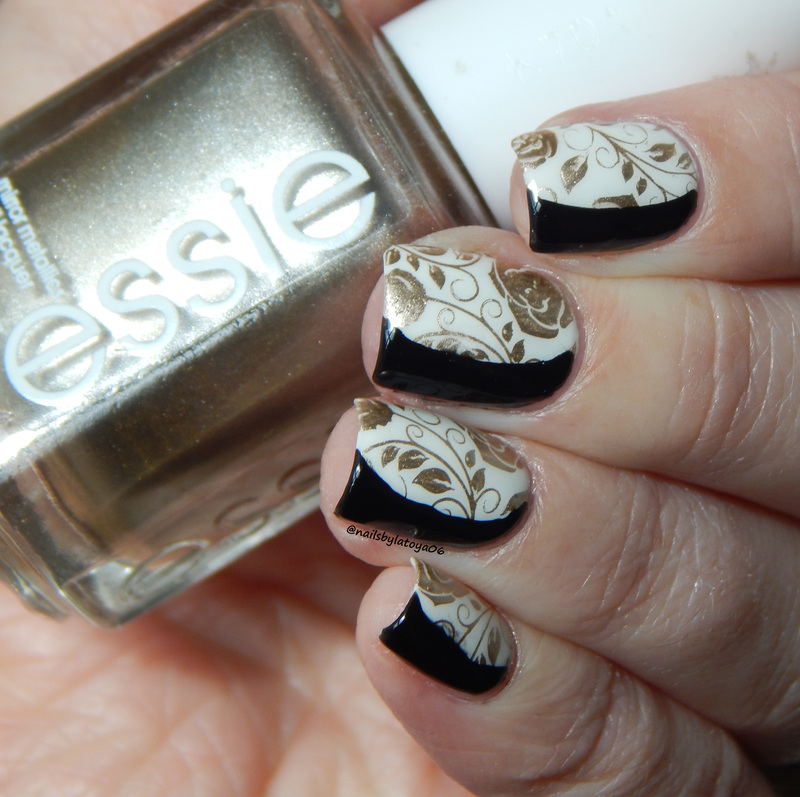 I used Wet n Wild French White Creme for the base, Essie Good as Gold for the stamping and What’s up Nails Oval Vinyls for the black space. What do you think of this look? Would you ever wear it? Thanks for reading today and I’ll talk to you all soon! ← Pahlish May releases and Review! I totally will, if I ever do them I’ll comment to you and when I write about them I’ll bring you up? I was just thinking, would you ever wanna do a mani swap? You do one I’ve done on my blog and I do these ones? Ooh that sounds fun!!! I’ll browse your blog and pick a look to recreate! Sure! I can’t wait to see your look! Awesome!! I had to free hand the black but it looks ok, would you like to see them before I post them? You don’t have to do that!! Just post them up and surprise me 🙂 I’ll have mine posted up tomorrow as well!